A global fitness fundraising initiative, Workout For Water, has raised more than USD$850,000 (€720,490, £633,620) to help combat ongoing humanitarian crises. The campaign centred on a one-day exercise event by children’s charity Unicef and global fitness brand Les Mills to provide funds to help children and their families gain access to safe water, as well as health care, nutrition and sanitation. Using Les Mills’ 19,000 gym partners and 130,000 instructors, workouts rolled out around the planet, starting in New Zealand, on 18 November. More than £36,000 ($49,100, €41,000) was raised in the UK alone. “I want to thank everyone who took part and helped make Workout For Water a success,” said Les Mills International managing director Phillip Mills. Ongoing fundraising events are planned in fitness clubs and at Les Mills training events into the new year, so the total will continue to rise even after the campaign. Les Mills has also pledged to match the amount raised dollar-for-dollar up to USD$250,000 (€211,910, £185,610). “This doesn’t end here,” says Mills. “The Workout for Water was a fantastic global event, and our aim is to keep the momentum going. 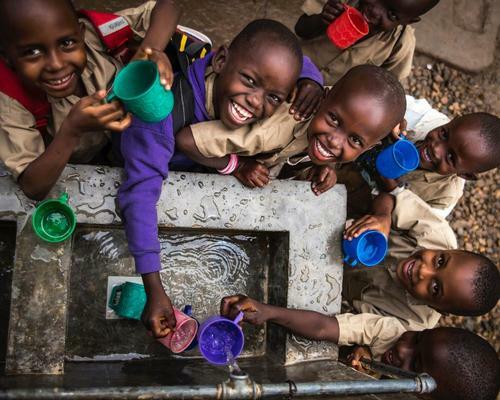 Unicef New Zealand’s executive director Vivien Maidaborn added: “Water is central to everything we do. When children have access to safe water, sanitation and hygiene, they have more than just life, they have a chance to be healthy, to gain an education and to have a brighter future. To find out more or donate, click here.